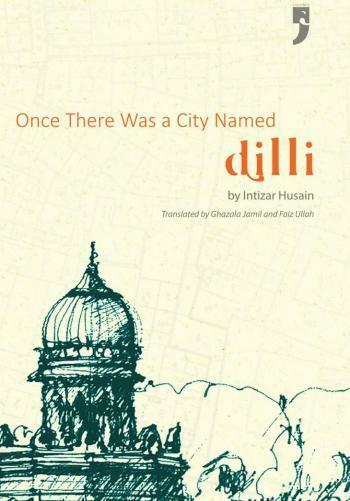 While wandering the bylanes of Daryaganj, Faiz Ullah stumbled upon a stack of pirated copies of Intizar Husain's urdu work Dilli tha Jiska Naam. He picked up a few copies for friends, gifting one of them to his sister Ghazala Jamil, thinking it might help her with her PhD thesis on the segregation of Muslims in Delhi. Little did he realise then that it would set them on a whole new path. Ghazala re-gifted her copy to a friend, Shubham Mishra, an an urban planner and geographic information systems expert. He was so taken by it that he decided to translate the book into Hindi. Mishra contacted Intizar Husain, who had no idea his book was being published in India, and obtainined permission to publish the book in Hindi as well as English. 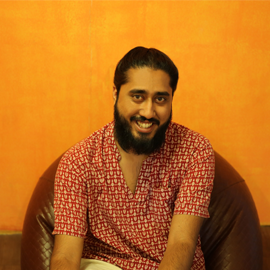 While Shubham handled the Hindi version, Ghazala set about with the English translation. The two siblings forged a Delhi-Mumbai partnership that, over a year and a half, translated the book. Faiz, meanwhile, had just moved to Mumbai. Looking to retain his connection to the city he grew up in, he found himself helping his sister with the mammoth task of translating one of Urdu's finest authors into English. Gradually, it ceased being just Ghazala's work, with the two siblings forging a Delhi-Mumbai partnership that, over a year and a half, worked tirelessly to produce a finished manuscript. Interestingly, neither had a formal background in translation – Ghazala teaches at the Centre for the Study of Law and Governance in JNU, while Faiz teaches at the School of Media and Cultural Studies, Tata Institute of Social Sciences in Mumbai. Ranjan Crasta (RC): What was it like translating one of Urdu's finest writers, despite not being professional translators yourselves? Faiz Ullah (FU): It was very challenging. Husain is not only an acclaimed thinker-writer among the Urdu speaking societies, but also a major figure of South-Asian literature. We started working on the translation in the spirit of democratising the realm of translation. Why should it only be a domain accessible only to specialists and cultural elites? Also, translation is a very crucial mode of intercultural interaction, and I think everyone who has interest should be able to contribute to it. Ghazala Jamil (GJ): I think not being trained in a discipline can be a blessing in disguise. You can be instinctual, yet not be intimidated by disciplinary boundaries. It works in many other situations, but may be particularly useful in literature where craft/skill is not paramount. RC: What were the biggest challenges you faced while translating? Once There Was a City Named Dilli was something we did for the joy of it. GJ: Since both of us are primarily social science students and engaged in writing and revising our doctoral theses, Once There Was a City Named Dilli was something we did for the joy of it. We enjoyed most of the aspects that were most difficult to execute. For example, many words that were quaint and unfamiliar to us took a lot of research. We have footnoted many of these, which sometimes took days, even weeks of research from different published scholarly sources. But it was fun to do this research too. A lot of this translation was accomplished while we 'productively procrastinated' from our doctoral research and from preparing for classes! RC: Did you have to do a lot of historical research to understand the context of Husain's writing? GJ: We have not done archival research, but we did end up looking at many of the sources Intizar Sahab had referenced for this book and many other published Urdu and English sources. FU: That was the most exciting part. We looked up a lot of work to be able to fully understand and appreciate the context of stories, characters, etc. We also did a lot of fact-checking and found that Husain sa’ab erred with some details. But that could be to do with the problems of works he relied on to put together his narrative. You'll find several footnotes pointing out such things in the book. RC: How did your involvement with this book affect your reading of Delhi - the place, its people, and its cultures? GJ: It was a major influence on my doctoral work, which is on segregation of Muslims in the city. Intizar Husain goes beyond the well-known references to events in history and recounts the forgotten, sidelined aspects of events and culture. For example, his narration of events in Delhi around the mutiny of 1857 goes beyond the crafted narrative that we were taught as school children. He references scholarly works which have existed for many decades, but, in all probability, you would come across only if you study for a postgraduate degree in history. Their narratives have never managed to go mainstream. With this translation of Intizar sa'ab's popular rendition of these scholarly sources we hope that Delhi will be more mindful of its complex cultural and historical character. FU: For me it was like a jigsaw puzzle which finally came together. One was familiar with most of the stories related in the book, but this book helped me put them in a larger context, understand connections between them, their consequences, etc. RC: What drew Husain to Delhi? How did these encounters shape him, his literature, and his attitude towards history? FU: I guess Husain, like a lot of other people, didn't think of partition as a final, definite event. He imagined that people would be able to travel freely across the newly created borders, keep their friendships, continue to do business with each other. But that was not to be. So, in this work and others, it is this sentiment that informs his connection with Delhi/India. GJ: In his preface to the book, Intizar Sa'ab mentions that it was his publisher at Sang-e-mil Publications, Lahore, who pressed him to write this book. It must have been to cater to a readership in Pakistan that strives for this connection with Delhi/India. Historical cities lend themselves to literary excavation for stories. What is literature if not that? RC: What do you think it is about Delhi that lends itself to literature so readily? GJ: It is its history. Any historical city lends itself to a kind of literary excavation for stories, and what is literature, if not that? Works such as Intizar Husain's Dilli tha Jiska Naam or Rana Dasgupta's Capital are examples of such literary excavation of a city. RC: Husain is one of the finest Urdu fiction writers, however, this book is a historical document. How does his preference for fiction affect his retelling of history? FU: He's interested in the particular, not, as they say, the larger arc of history. What makes it interesting for me is that this book presents history in a popular and accessible form. It reminds me of what Amitav Ghosh mentioned in one of his interviews — that fiction gives imaginative existence to facts. In this case, fiction brings history into existence in a very powerful way. RC: We live in a time when history is being selectively changed based on ideology. How does Husain's religion and nationality affect his telling of history? GJ: This is a very important question. Often, people eulogise a historiography ‘unencumbered’ by religious and national identities of historians. The truth is that a view from nowhere does not exist. I feel that the only option one can have is to acknowledge one's position. For the one coming from a position of privilege, part of this privilege lies in the 'luxury of ignorance' of disadvantages that others experience. Intizar Husain's work is remarkable because he assumes a position that does not offer the readers the comfort of this 'luxury of ignorance'. In Pakistan, but also in India, he assumes a marginal position and tells a story of the past that the national discourse in both countries often forgets. FU: Husain manages to transcend the limits that borders and identities put on imagining and articulating histories. In one of his columns, he mentions how he was received very warmly in different cities of India while travelling on the Munshi Premchand fellowship. That suggests even his readers don't reduce him to his religious and national identities. RC: Is there something present day historians or politicians can learn from him? FU: Yes, that these frames aren't the most productive and useful ways to think about the past, especially in diverse societies like ours. GJ: That using the past, whether as a shield or as a weapon, stops us from learning anything productive and useful for building a shared future. RC: While the present government is big on reviving Sanskrit, there seems to be an almost opposite attitude toward Urdu. Recently, there were reports that an RSS ideologue wants Urdu words removed from NCERT text books. 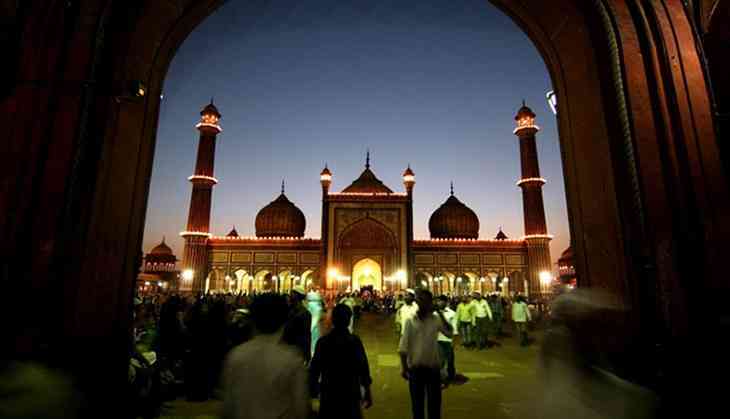 Why is it that Urdu is being viewed as alien to India? GJ: State patronage or, contrarily, its opposition is not the sole criterion for its [language's] revival or decline. The life of a language is woven out of complex socio-political factors. Sanskrit and Urdu are not adversaries. It is not as if a polyglot cannot learn and master both these languages. If we erase Urdu, we erase ways of being and belonging, and a connection with our past. I think that while languages and literary cultures cannot remain untouched by contemporary politics, they can also transcend these. Even as Sanskrit continues to live, having gone through a decline as a daily language, Urdu will hopefully survive this phase too. I would not like to dignify the debate whether Urdu is alien or indigenous by commenting on it. FU: I wish we could say that it's a uniquely Indian issue. Urdu is a hegemonic force in Pakistan, so much so that this politics once again drew new borders on the face of the subcontinent. But to address your question, I think it's do with how, through various strategies, Urdu came to be seen as a language exclusive to Muslims, which is not entirely accurate. Having said that, I'm hopeful Urdu will survive this onslaught. I have great faith in Bollywood, one of the most vibrant domains where Urdu thrives. Then, of course, there are translations, projects like Rekhta, and other online and offline initiatives and fora. RC: What do we stand to lose by erasing Urdu? GJ: A part of who we are as a people. One can't remain untouched by the hatred one harbours for others. It erases a part of our humanity. FU: Ways of being and belonging, connection with our past...a lot actually. For me the key lies in democratising Urdu, creating more opportunities for people to participate; Bollywood has done it brilliantly. Other individuals and initiatives are doing it very well, like I mentioned earlier. Urdu is too precious to be left to only the Urdu-wallahs - it needs to be freed from the limited domains of the 'taste publics'.